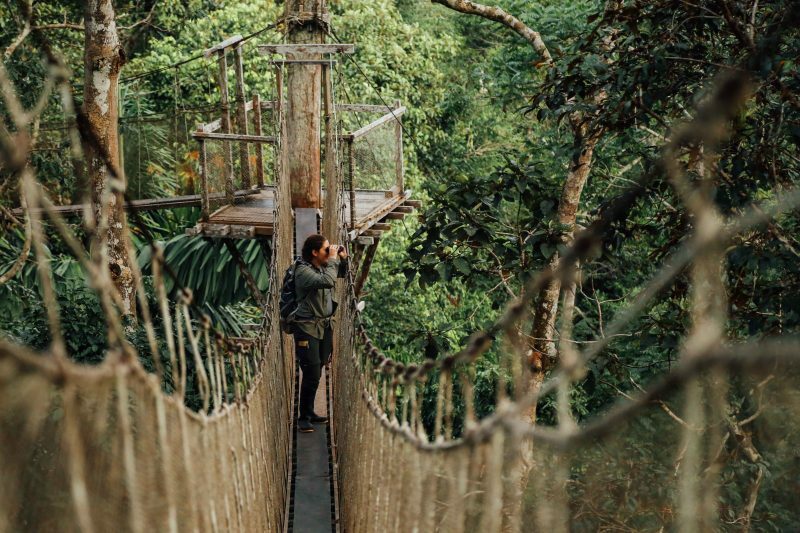 Experience the wild beauty of Costa Rica - where rugged rainforests, mist-shrouded volcanoes, and sandy beaches are home to 5% of Earth's species. Study climate change impacts firsthand as you explore sustainable conservation strategies. Thinking about attending an SFS program? Did you know that we don't charge an application fee? Get started today! Explore the savannas of Kenya and learn about the environmental issues facing the charismatic species that live there - elephants, lions, rhinos, and so many more. Study wildlife ecology, natural resource management, and human-wildlife conflict. Summer 2019, Fall 2019, and Spring 2020 programs are now accepting applications - apply today! Find out what it's really like to go on an SFS program - head over to the blog and read stories from students and staff in the field! When you study abroad with SFS, you’re contributing to a legacy of environmental research and stewardship that spans more than 35 years, encompassing countries as diverse as Cambodia, Kenya, and Costa Rica. Our team of experienced research scientists will push you to get creative as you work to understand the critical environmental issues of our time. Get ready for muddy boots, cold showers, and dirt under your fingernails, because you will be out there doing science, not just talking about it in the classroom. And you won’t be alone – you’ll be joining a group of students who share your passion for creating a more sustainable future. Living in Australia’s ancient rainforests, tracking elephants through the Serengeti, or diving among the vibrant coral reefs of the Turks and Caicos Islands, you will find yourself immersed in and captivated by the world’s most incredible and complex environments. As an SFS student, you’ll become part of a global community, working to make a difference by better understanding and protecting these ecosystems. With the Amazon rainforest or the floating villages of Cambodia as your classroom, you’ll experience the world in ways that aren’t possible inside a lecture hall. So join us in the field—but don’t forget your sunscreen and binoculars! In the heart of the Amazon, dense green foliage blankets the horizon as far as the eye can see. Here, rich natural resources have supported human populations for millennia, including indigenous groups still living in these forests. As one of the most ecologically diverse countries on the planet, Peru provides an ideal place to study a variety of ecosystems, their inhabitants, and environmental threats. In Cambodia, remnants of 12th-century temples share the countryside with wild forests and agricultural villages. Diverse ecosystems from the Bokor Mountains to the mighty Mekong River harbor rare species such as the Asian elephant, sun bear, and endangered Irrawaddy dolphin. The Tonle Sap Lake swells to eight times its size each year, creating a dynamic seasonal shift for the communities of fishers and farmers who call this region home. Get ready to be amazed, challenged, and transformed when you leave your traditional college classroom and join us in the field. Are you a study abroad advisor or faculty member interested in finding out more about SFS? Do you need resources or information? You play a critical role in supporting your student’s experience abroad. Learn more about the benefits and skills they’ll gain with SFS. ‘I plan to change the world; thanks for the jump start.’ Find out how your generous support helps our students and the work we do. SFS students, faculty, and staff live and work together at our ten field Centers around the world. Locations range from deep in the heart of the Australian rainforest to the tropical coastline of Panama, and each Center offers its own distinct experience in the surrounding ecosystems. Regardless of where you go, you’ll become part of a community and discover a lifestyle unlike anything you’ve ever experienced. Plus, not only are you heading into the field with a group of passionate environmentalists, but you’re joining a network of more than 18,000 alumni who are busy changing the world through careers in the private sector, government, academia, and environmental NGOs.